The Grenaways could be said to be mining the rich veins of inspirational ore that course through their home turf, adding a sense of their own ties to the region and especially it’s Celtic heritage. But, they are a band set for far wider horizons than Cornwall with a massive and alternative sound. 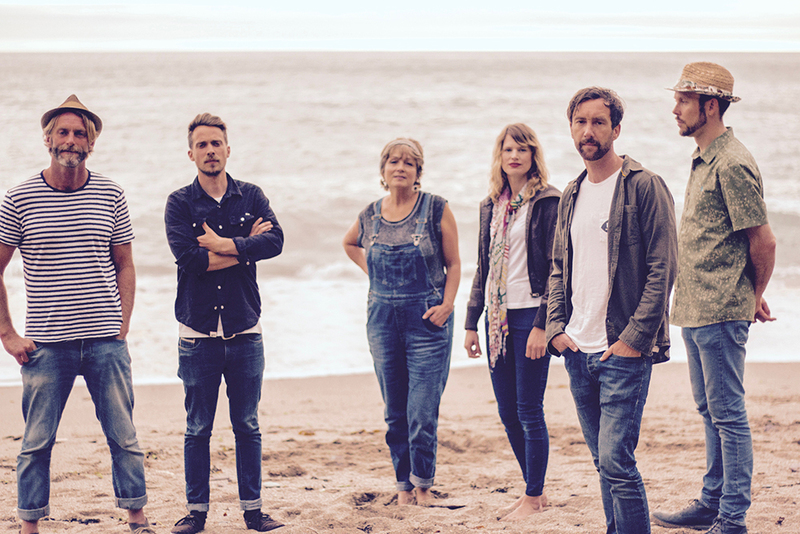 For The Grenaways, none of whom are true folkies, unlike so many of the talented musicians on the traditional and certainly more purist UK folk scene generally, it is as though they have inherited something of the spirit of the communities and traditions of coastal Cornwall. By being immersed in the sea physically, and its communities of farming, fishing, surfing, and the creative arts of Cornwall that are so evocative and elemental, the sound and spirituality that the band has and the subjects they choose to write on have simply come to reflect something that already exists. Their most recent EP, ‘Skath Vyghan’ (which means Little Boat) has two tracks recorded in the Cornish language and even though none of the band are actually Cornish, they found that writing in the Celtic language gave them a good grounding in the ancient.